Your wedding in the hands of a world class DJ. World class wedding entertainment and decoration, looking further afield will not find you a better service. I have a 100% client satisfaction record – the only DJ in the UK to hold this. I will never let a client down / cancel a booking. My contract protects you from this happening. I have over 15 years of DJ experience. Including club and bar residencies internationally plus local, national and international weddings. My music collection is exceptional. I cater to all tastes and my music is updated on a weekly basis. I meet my clients to discuss the details of their wedding plans which I am involved in. This includes the speeches, the music, the lighting, the decorations and the announcements. 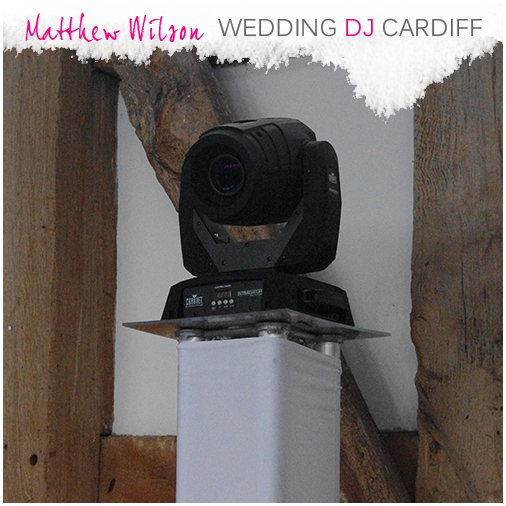 I will set up my equipment at a time which will cause minimal disruption to your wedding day. Either in the morning or during a room turnaround after speeches. 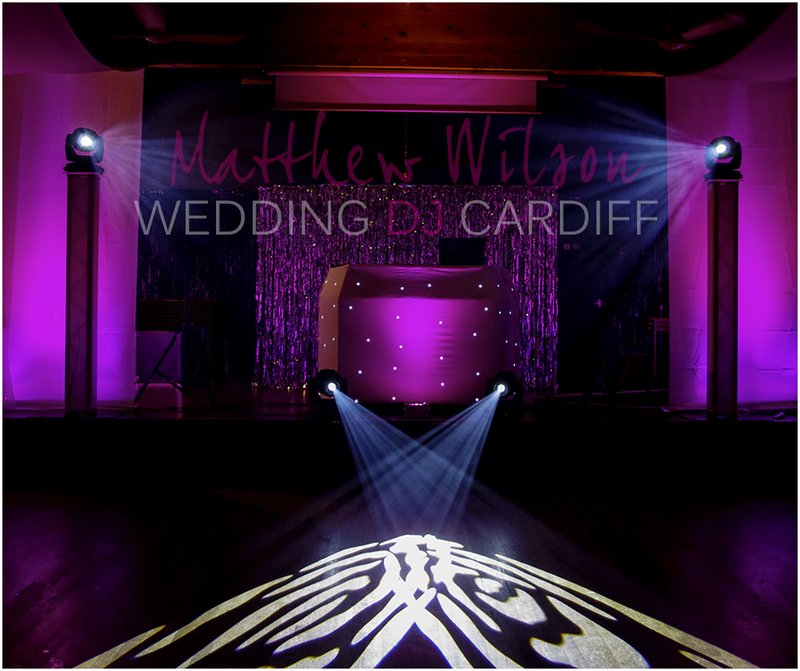 I offer a money back guarantee on important services such as my twinkling LED dance floor hire. The only company in the world to offer this. I own all of the equipment myself, I only advertise services I can personally provide which means there is no middle-man and I can assure you the quality of my service is world class. If you’re not sure about something that you’d like to know, contact me. I’m always here to help my clients. I have DJ’d all across the world keeping a wide range of audiences happy. A few years ago, when my friends started getting married, I saw a gap in the market for a truly professional wedding DJ here in the UK. 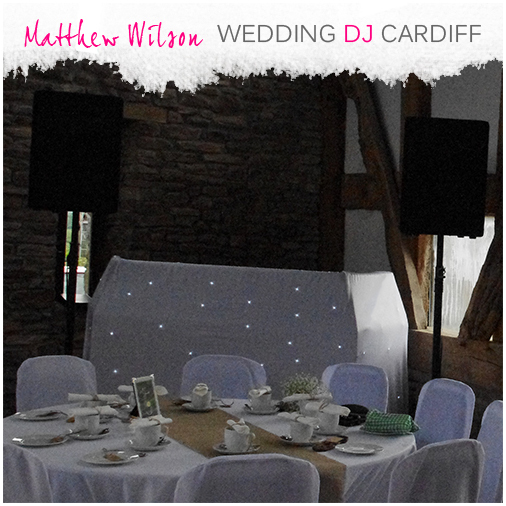 Through Wedding DJ Cardiff, I am able to offer a higher standard of wedding entertainment to couples who are bored of the usual cheesy DJ. I am more than a DJ, following the set up of my system, I will be your master of ceremonies and I shall ensure your wedding day is enjoyed by all. I’m 30 years old, so the chances are I have a similar musical understanding to the majority of my clients who are in their twenties and thirties. Being a university graduate, I can also relate exactly to the kind of music my clients like. I offer a complimentary client consultation service to my clients before they make a booking. This allows you to put me on the spot and ask me any questions you want – I want my clients to have confidence in me and get to know the person at the other end of the emails. I’m a genuine guy who really knows what he’s doing. I’ll give you ideas you hadn’t even thought about and I know what works best at your particular wedding venue. All of my equipment is of the highest quality, I aim to impress wedding couples and their guests. As each client has their own opinion on what looks amazing, the appearance of the wedding disco is discussed during the complimentary client meeting. My wedding disco system is special. It includes a black (or white) twinkling starlit DJ booth. It also includes a fully controlled DMX lighting system – if you don’t know what this means, please ask! It’s the reason the photographs of weddings on my website look so good. Finally, the standard sound system included is a 1800W stereo sound system capable of entertaining crowds of up to 150. This system can be upgraded as far as 20,000W. Why not add our White Twinkling LED Dance Floor Hire or White Star Curtain Hire to really bring your wedding venue entertainment together? All of our Starlit components have matching tones of white, not a mish-mash of ivory, warm white, daylight white and ice white colours.